Thursday February 7, 2019 - Former Uasin Gishu gubernatorial aspirant and Board of Chemelil Sugar Chairman, Zedekiah Bundotich alias Buzeki, has faulted North Rift leaders beginning with Deputy President William Ruto, to stop the 2022 succession politics and concentrate on serving people. Speaking during an interview on KASS FM, Buzeki accused Rift Valley leaders of failing to legislate on critical matters affecting farmers in the region and engaging in early 2022 campaigns. He claimed that legislators in the region overlook the agriculture sector by engaging in political wars for self-gain. “Leaders should formulate laws to alleviate agricultural activities in the region, politics will not positively materialize to the locals,” Buzeki said. “Our leaders especially legislators should focus on policy-making to solve the issues ailing our people. 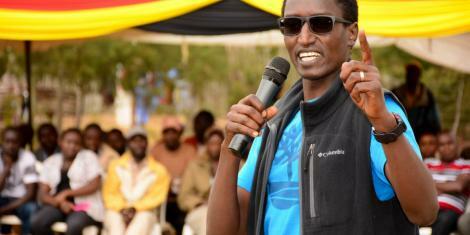 Politicising issues without providing solutions is not a characteristic of leadership," noted Buzeki.